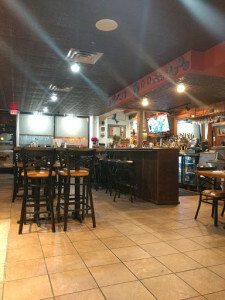 Seating Masters team up with El Burrito to redesign their floor layout with new restaurant seating at its new location. If you are in the mood for Mexican cuisine, you are in for a real treat at El Burrito Mercado. The experience begins from the streets in St. Paul where you smell the authentic delicious aromas of Mexican food that lead you to the kitchen where mouthwatering meals are being prepared by talented cooks at El Burrito. From simple yet irresistible tacos to gourmet quality chicken dishes, El Burrito has something to offer that will surprise you and even having you begging for more. There is no need to travel south across the border to enjoy a beef fajita. Everything you would expect from Mexican cuisine is all at El Burrito in St. Paul. Having relocated to where Pepitos once stood, this 36 year old family run restaurant business plays host to 230 patrons at its current 13,000 square feet spacious location. Though the floor layout was redesigned with new restaurant seating, the high standards of delivering excellent food and service remains. What started as a tiny Mercado founded by Tomas and Maria Silva back in 1979 to meet the basic Mexican grocery needs for the Latino community in the Westside, has evolved to a destination in the heart of Saint Paul due to the increasing number of developed tastes for authentic Mexican cuisine which was a novelty at that time. With much sacrifice, hard work, and dedication along with the growing Latino demographics, the business blossomed and continues to thrive. El Burrito Mercado is a truly one-of-a-kind restaurant as it offers so many dining experiences in one market place. This beautifully decorated restaurant is adorned with handpicked items from Mexican vendors sold in local markets. The quality selection of food from seafood, meats and fresh produce distinguishes it from competition. They even feature a café and bar featuring 4 different dining services: full-in service, buffet/brunch style, and cafeteria style and at an outdoor/patio area. They even have a designated dining space for private events. The growth and expansion that the restaurant has witnessed over the years is now being led and managed by the Silva children who strive to keep everything real without compromising on service, authenticity, and quality. Since El Burrito Mercado kicked off, the restaurant attracts large crowds thus the demand for more and new restaurant seating was made. Upon discovering Seating Masters’ reputation for crafting and manufacturing high quality commercial furniture made to withstand the daily rigors in the food industry, the Silvas contacted them in no time. When searching for restaurant chairs, they were drawn to the design of the X back metal chair and placed an order for 20 sets. They felt the style would enhance the elegance of the restaurant décor. 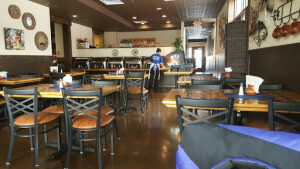 The restaurant’s bar is frequented a lot by patrons looking to grab a couple of drinks. To give their décor a cohesive look, the Silvas ordered matching metal bar stools. El Burrito Mercado is located at 175 Cesar Chavez st, Saint Paul, MN, 55107. They can be reached at (651) 319-3417.